Yogobe is an online video streaming service. Yogobe is your considerate guide and a digital destination for sustainable health and wellness with Scandinavia’s leading teachers, instructors and experts. You can yoga, meditate, workout or relax wherever and whenever. Yogobe offers online classes with four different languages: in english, in finnish, in swedish and in norwegian. You will get the free access to Yogobe video library with an academic year 18-19 or spring 19 sports stickers. The subscirption will be valid until 31.8.2019. The value of the Yogobe online service is 199 euros per year. 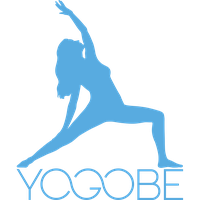 How can I use Yogobe? First, buy a sports sticker online. After the purchase, send an e-mail to korkeakoululiikunta@jyu.fi with title "Yogobe". You will receive an instructions and a personal code on which you can sign up to the online service at www.yogobe.com/en. Please notice, that we will deal the requests from Mon-Fri between 8am-4pm.